The Detailed Design Review (DDR) of the Austal $306 million Pacific Patrol Boat Replacement (PPB-R) Project has been successfully completed on time and in accordance with the contracted schedule. The completion of the DDR for the PPB-R Project, a key element of the Commonwealth's continuous naval shipbuilding strategy, formally signifies the end of the design phase and the commencement of the production phase of the 19 steel vessel program. Matthew Klingberg, Austal’s PPB-R project manager, announced the milestone and highlighted the effective working relationship between Austal and the government on this project. "Achieving DDR on a Commonwealth shipbuilding project is a significant milestone, particularly as this was achieved within eight months from the contract effective date. This was made possible by the dedicated efforts of both the Austal and Commonwealth teams, working together in an open and collaborative manner," Klingberg said. The PPB-R Project is part of Australia's sovereign shipbuilding capability plan, leading up to the Offshore Patrol Vessel and Future Frigate programs, due to commence in 2018 and 2020, respectively. 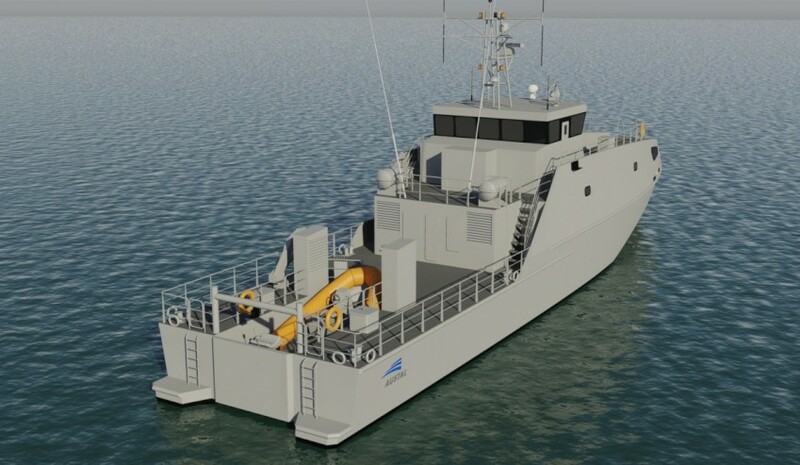 The project comprises the design, construction, delivery, training and sustainment of the 40-metre patrol boats, to be gifted by the Commonwealth of Australia to 12 Pacific island nations as part of Australia's new Pacific Maritime Security Program. Construction of the Austal design will commence in Western Australia in April this year, with deliveries scheduled from 2018 to 2023. Sustainment of the new fleet of vessels will be carried out by Austal from a facility in Cairns, Queensland.